The 13.5 amp: has a 14 hour run time, full power and 28 hour run time at half intensity setting. Advanced LED array provides powerful 600 Lumen output in a small, attractive form. Lux rating at one meter is 10700; at three meters, 1450; and at five meters, 530. 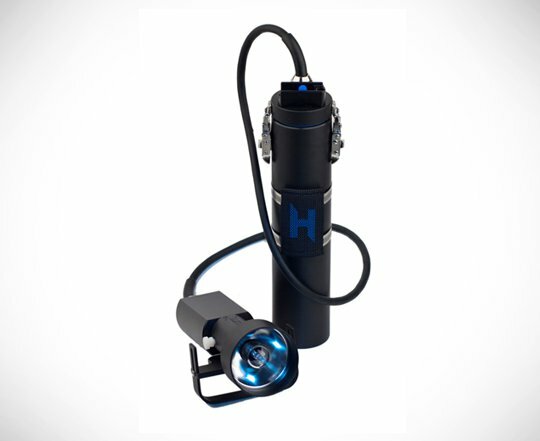 High-quality, aluminum light head with a Type 3, Class 2 Mil-Spec hard coat is durable and corrosion resistant. 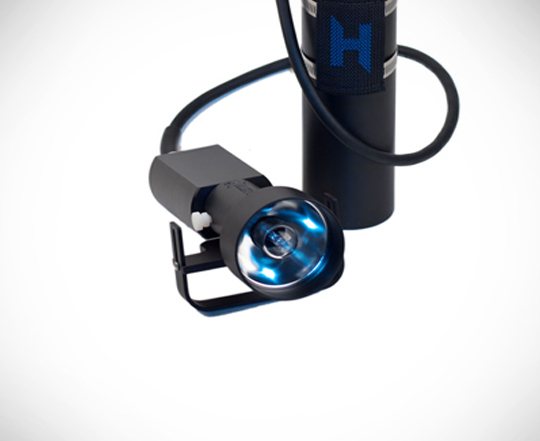 Aluminum light head optimizes heat dissipation while protecting LED electronics. High-quality LEDs are rated for approximately 20,000 hours and protected by a nearly indestructible light head. The dual-intensity LED allows an option to double battery run time. The built-in thermal protection circuit auto-switches to low intensity to protect LED array from overheating when out of the water. The Eos Goodman handle features an innovative bolt snap attachment point. The light head body provides a rear bolt snap attachment option. 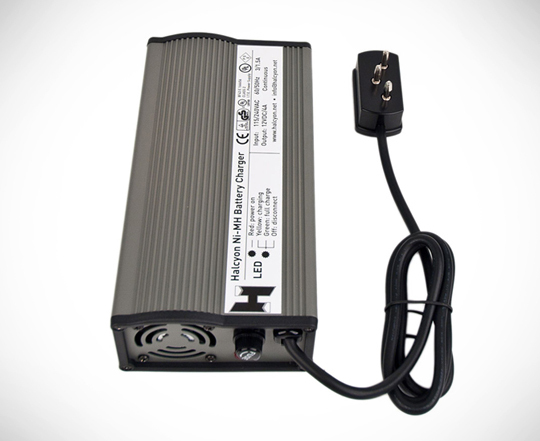 The charger has a switchable universal input, 110-240v. The Eos LED is pressure tested and depth rated to 300ft/90m. There is a lifetime warranty on the canister. The Eos comes standard with our indestructible Explorer canister featuring our proprietary “dry lid” design. E/O Cord Available for $220.00 upgrade.